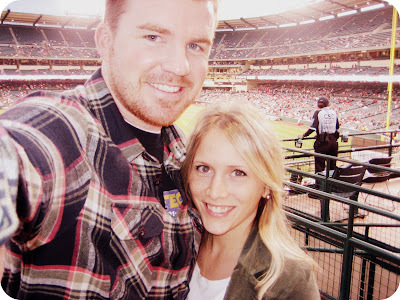 And we took one more pic on our way out of the stadium--I seriously did not want to leave! 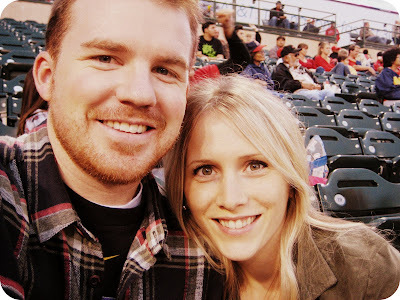 We got dinner at Wahoo's [our 3rd time in the past 5 days...yikes], and all night I just kept asking myself, who knew a Wednesday night could be so fun?! 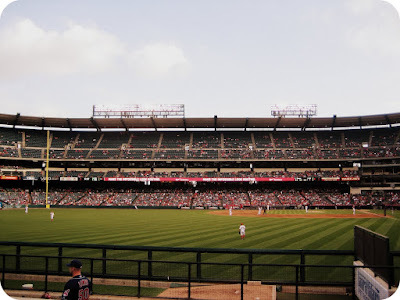 Supposedly the Angels aren't very good this year, but apparently the Cleveland Indians are worse because the Angels ended up winning. 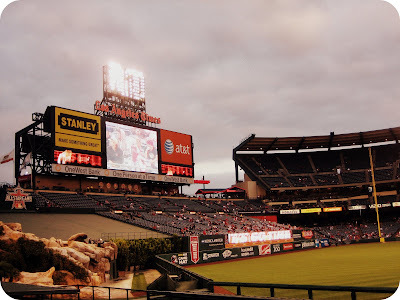 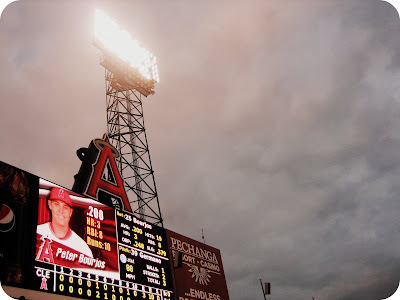 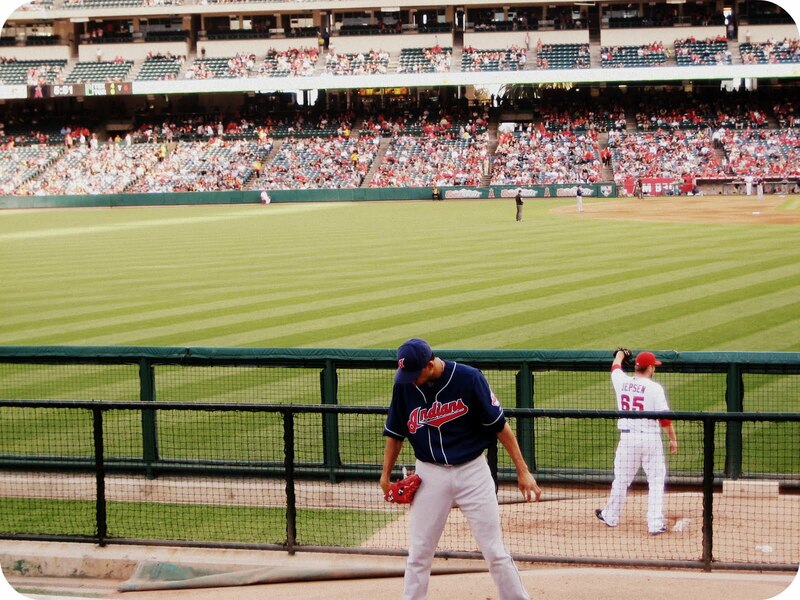 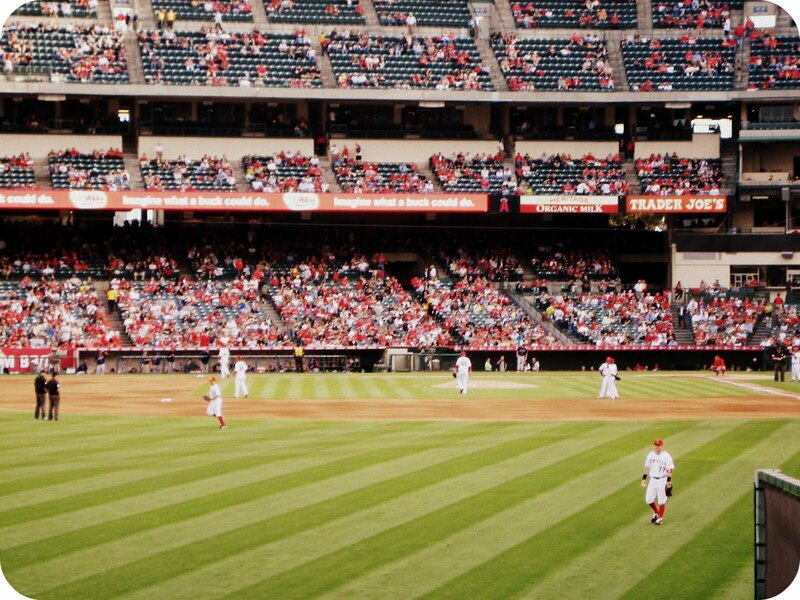 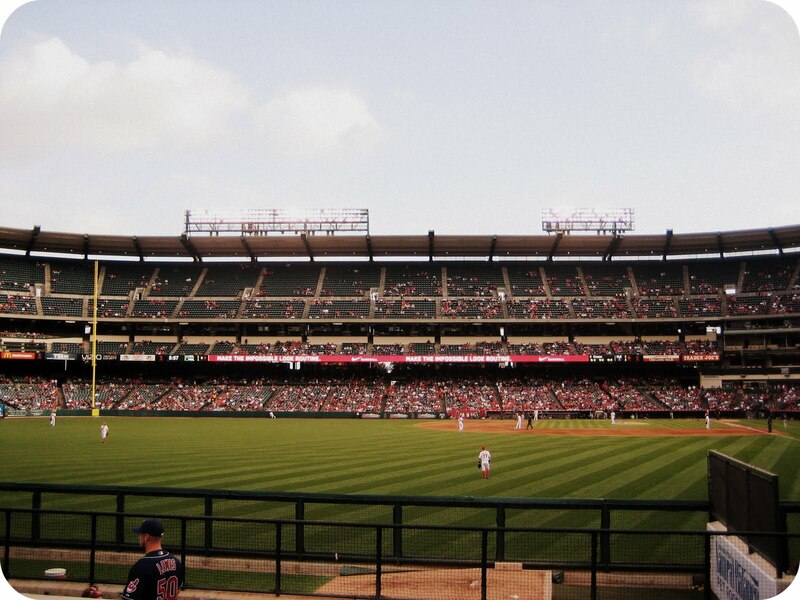 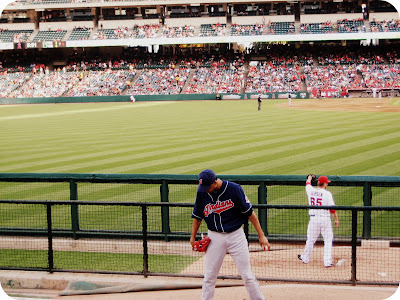 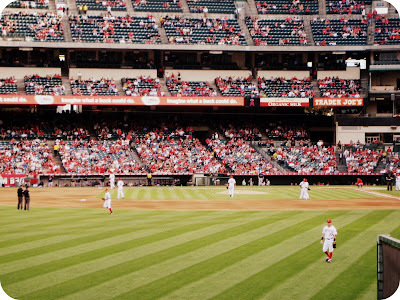 Now I'm just dying to go to another game, and maybe I'll support the Angels this time instead of the Indians. 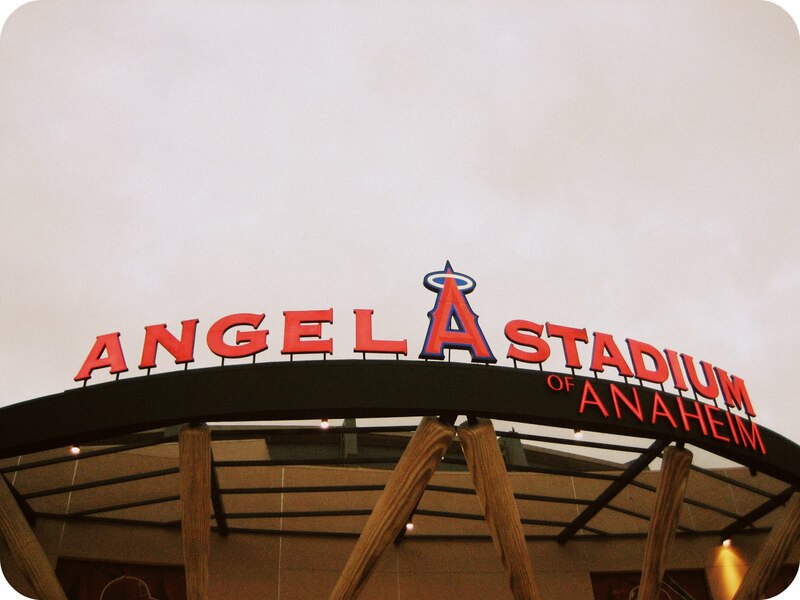 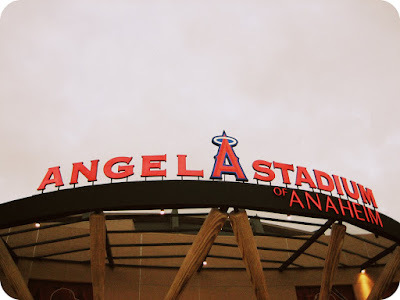 :) Go Angels!